In 1971, a then virtually unknown musician approached John Pasche, a student at London's Royal College of Art, with a request to design a logo. The man in question, Stones frontman Mick Jagger, was hugely disappointed with the various designs so far presented to him by record label Decca. Mike had gone to see Pasche's exhibition and was obviously impressed with what he saw. Pasche's design was first used on the Stones' Sticky Fingers album, and soon became one of musics most iconic brand images. 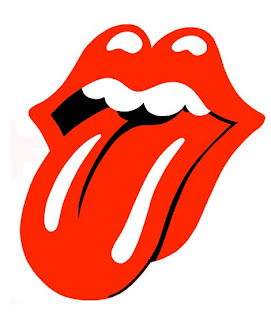 It is said that the logo represents Jagger's famous lips and the band's rebellious edge. At the time Pasche was paid a princely sum of €50, with a bonus of €200 two years later, as the band and label were so happy with the work. Last week, however, the original artwork was bought by London's Victoria and Albert Museum for $92,500 (£51,375). Half the cost was met by charity The Art Fund, which called the work "one of the most visually dynamic logos ever". "The Rolling Stones were one of the first bands who really took logos and made branding a serious part of their business," said deputy director of The Art Fund, Andrew Macdonald. "It marks, therefore, the transition from this kind of rebelliousness of the 60s into the corporate machines that we see today."